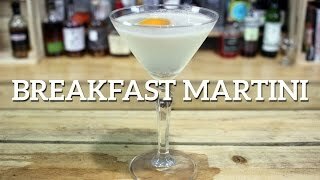 Created by Salvatore Calabrese, inspired when his wife insisted that he had some toast and marmalade, this Breakfast Martini has a bittersweet flavour and a great texture from the marmalade. In a shaking glass add the marmalade, gin, lemon juice and cointreau. Next breakdown the marmalade by mixing with a bar spoon before adding ice and shaking well. 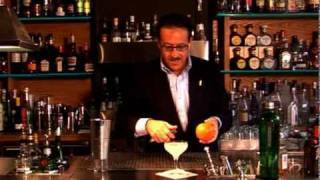 Shake for slightly longer than normal to mix the marmalade properly before straining into a chilled martini glass. 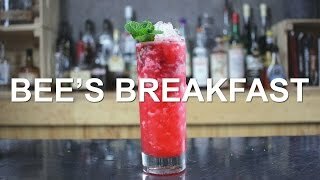 Bee's Breakfast Gin Cocktail Recipe - featured on Imbibe Magazine!